Slender: The Arrival is the answer to a question no one asked. Just as you can always trust Hollywood to franchise a film that didn't need a sequel, Slender is a game that wasn't needed (frankly, wasn't that great to begin with) but fans of the Slenderman mythos are likely to play it anyway. The game was originally launched for PC and Mac in March 2013 and Steam in October. It then launched on the PlayStation 3 and Xbox 360 in September 2014. And now, in 2015, the game is available for Xbox One and PlayStation 4. It is hard to say what has improved in the time of The Arrival's original launch. It certainly wasn't the graphics, modeling, textures, story, gameplay, music, or the audio. There are a lot of indie games that have good graphics despite their budgets. Slender isn't one of them. There is a lot of texture pop-in on the Xbox One version, especially on distant objects well outside the confines of the level, which is baffling because there isn't much to put any sort of strain on the system. While the levels themselves are fairly large, the meager lighting effects and animations don't seem particularly taxing to the CPU, even on last gen consoles. As a matter of fact, what few character animations there are (particularly those relating to zombie-boy) look ripped from early N64 games. What little there is in terms of a plot is generally incoherent and poorly explained. In fact, the only reason I knew a plot existed at all was through the game's Wikipedia entry. Nothing is really presented to the player throughout the course of the game. Now, if you want, you can find letters that provide some background on the experience, but the effort it takes to uncover them though isn't worth it. The entirety of Slender: The Arrival is spent walking around. That is literally all there is. You walk (or run) around, collecting pages and turn on generators. 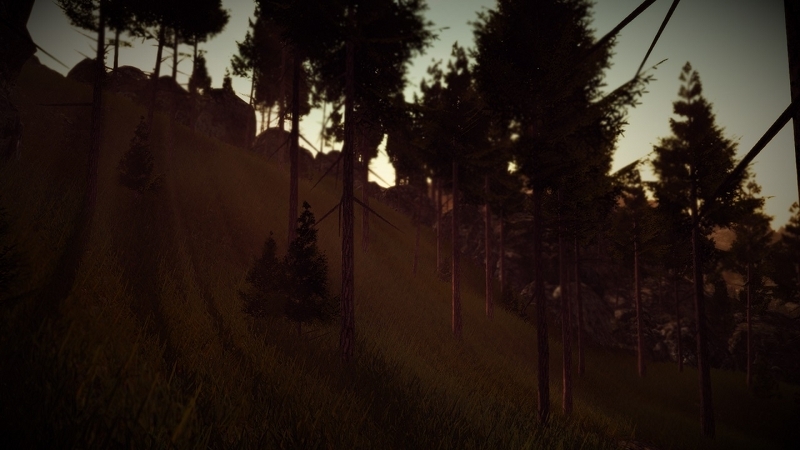 The second level is a near direct copy of Slender: The Eight Pages, and a later level is the forest that game. The idea of "go here, collect this" is fine within a larger game, but The Arrival isn't all that long in the first place. Such meandering, slow gameplay isn't exactly thrilling, and if it weren't for the game's atmosphere, I would have given Slender: The Arrivala one star rating. Luckily for Blue Isle Studios, the atmosphere is the game's saving grace. Although reliant on jump-scares, the ambiance—especially when played at night—is enough to keep you on edge. The titular antagonist shares screen time with two lesser (and less scary) adversaries, but Slenderman's prescience of where you're going is just enough to unnerve the player. Add in abandoned and desolate locales, spooky sound effects, and static that disrupts the camera, and Slender: The Arrival becomes a game that can, for all its flaws, genuinely give the player chills. Slender: The Arrival is the definition of a one-trick pony. But it's a mangy-looking pony, and it isn't especially good at its trick. It is a shaky start for a series that hasn't left me all that excited for any sequels. Blue Isle Studios nailed the tense atmosphere, and with some improvements to graphics and story, it could be the foundation of a decent horror franchise.